It’s not often that a fascinating and important new book — in this case about an accomplished diplomat, journalist, whistle-blower, novelist, dissembler and controversial celebrity of Victorian times — is made available, totally free of charge, to anyone with a computer, internet access and Adobe software for downloading a book-length PDF file. 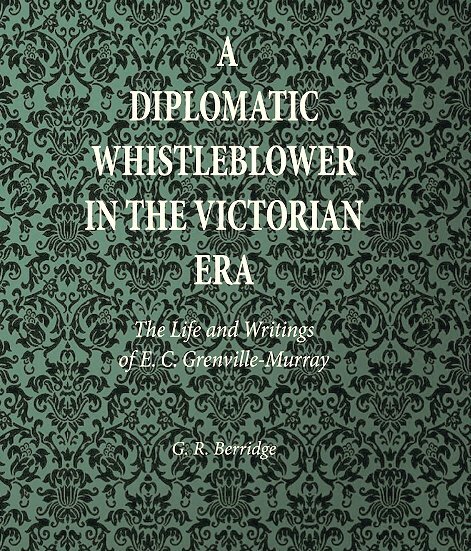 This is what Professor Emeritus G R Berridge, prolific writer and author of the classic textbook Diplomacy: Theory and Practice, has done with his latest book, A Diplomatic Whistleblower in the Victorian Era: The Life and Writings of E. C. Grenville-Murray [pdf]. Grenville-Murray’s ultimate misfortune was that his two great patrons, Dickens and Palmerston, tugged him in opposite directions: the former to the literary exposure of social evils, the latter to the important work of diplomacy. He was no saint but it remains to his credit that, despite the tension between them and the strain that simultaneously plying these two trades imposed on his family, he made such a valuable contribution to both over such a long period. He deserves a better place in history than that pegged on the lazy re-cycling of the myths that he was a ‘scurrilous’ journalist deservedly ‘horsewhipped’ by a nobleman he had offended. Two observations about this lively chronicle of an extraordinary life in diplomacy and journalism: first, its contemporary relevance (you can’t help noticing the partial parallels with another equally talented Murray whose controversial diplomatic career was eventually terminated by a hostile and exasperated Foreign Office); and, secondly, what an excellent film could be made of Berridge’s book, one that would be exciting and funny in equal parts. Conversion of the text to a film script wouldn’t be exceptionally difficult. 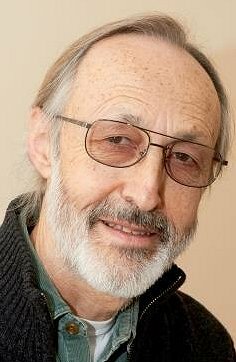 It might need a voice-over narrator for which Geoff Berridge’s own distinctive voice would be ideal. In the introduction to his book on his own website, Berridge sets out no fewer than 16 reasons for his decision to publish it as an ordinary PDF file on his website rather than submitting it to his publishers for publication as a book, whether in hard covers, as a paperback or as an e-book, or any combination of the three. All book publishers should take the precaution of thinking carefully about the professor’s 16 reasons, which have significant lessons for them. The downside seems to be the greater difficulty in spreading awareness of the existence of the book on a single semi-private website: very little chance of reviews in specialist or general interest journals or newspapers, no mentions in publishers’ lists or advertisements. It’s there, absolutely free and ready to be downloaded, but how many people know about it? It’s even quite easy to send it from one’s own computer to a Kindle, if you have a Kindle account, so that you can add it to your Kindle library to read on the train, or plane, or in your favourite Chinese restaurant when lunching or dining alone. So please heed this earnest plea: if you’re prompted by this to download and read A Diplomatic Whistleblower in the Victorian Era, and if you enjoy it as much as I did, spread the word about it, and send your friends and family without delay to http://grberridge.diplomacy.edu/wp-content/uploads/2013/12/GrenvilleMurray.01.pdf. PS: Full disclosure: Geoff Berridge is an old friend. A few years ago I made some modest contributions as Editorial Consultant to the first edition of his extraordinarily useful and readable Dictionary of Diplomacy: please see the Preface to the First Edition in subsequent editions. More recently he has proved an excellent mentor and literary godfather helping in very many ways to bring my own first (and last) book, What Diplomats Do, into a not particularly startled world — please see http://www.barder.com/4229.